Arabic music crate-diggers Habibi Funk have so far proved adept at unearthing killer material from the 1970s and '80s that joins the dots between indigenous styles and dominant Western genres. Their latest collection focuses on the work of 1970s Egyptian band Al Massireen, an outfit funded by one of the country's most successful producers of the period, Hany Shenoda. 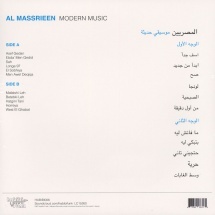 Modern Music, so called because the band was Shenoda's attempt to modernize Arabic music, includes tracks taken from a wealth of forgotten cassettes and albums. 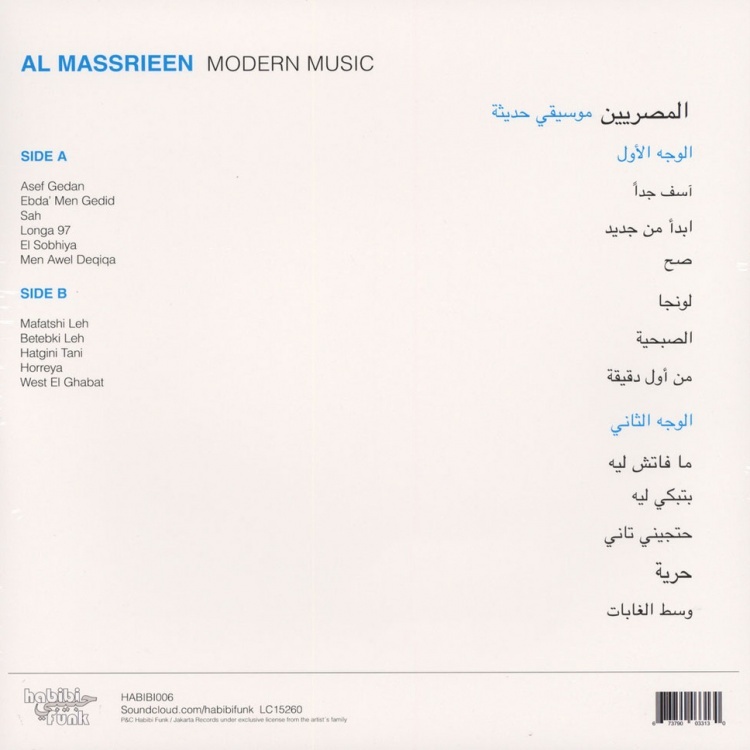 Musically, it's rather special; a heady blend of Arabic vocals and instrumentation, orchestral disco influences, blue-eyed soul, grown-up pop and dreamy West Coast style rock.